One picture started it all. 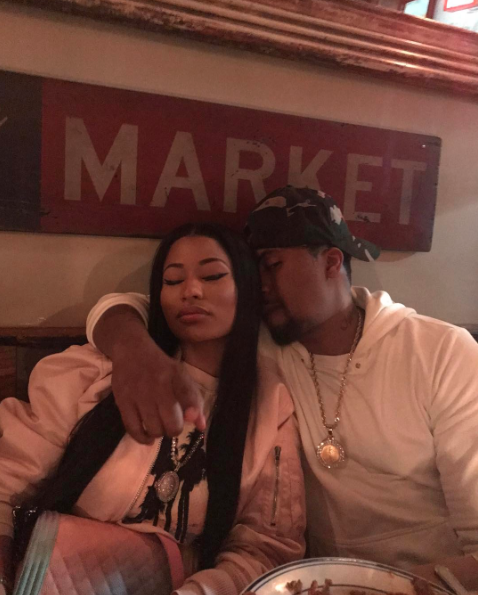 On Tuesday night, Nicki Minaj posted a photo of her and Nas looking particularly cozy and the internet had a minor panic attack under the speculation that the two are an item. The Twitterverse went into a frenzy thinking that the two Queens, NY natives could be the new “it” couple of 2017. The rappers dined at Nas’ co-owned NYC restaurant Sweet Chick and aside from their obvious snuggled position, their matching chains has everyone going crazy that they will soon make things official. Are you here for Nicki and Nas?